Harry assisted us with our wedding menu / signage printing and he was extremely helpful in providing suggestions and his response rate was very impressive. He went the extra mile to make sure that we were satisfied and had exactly what we needed for the wedding. The prints turned out really well too. Thanks so much Harry - we were very impressed! Great price, great service, great communication and great work done! Thanks so much for the print which was done really fast, within 4 days! Will definitely recommend Print City to people out there! Nicholas was very responsive and patient with our requests and also took the extra effort to guide us throughout the whole process as this is our first time. Furthermore, the prints are of excellent quality! Overall a really great experience! Staff were very helpful and friendly. They delivered our brochures in a promptly fashion and the printing was of great quality. Will use their service again! I originally intended to go elsewhere but googled & found them when the first place was unavailable upon my visit. 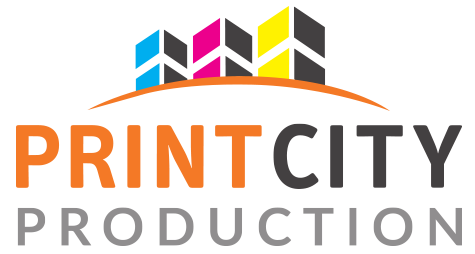 It turned out to be a blessing in disguise as Printcity was responsive to my requests. Upon quotation, I felt their prices were reasonable especially in light of their good service. Dennis, Harry, Simon, Jayden...from salesrep to designer to installers...each worked diligently & attentively with the printing issues to bring about the good finished products of a pull-up banner, a poster & a vinyl sticker. The quality is good but the service was outstanding that I will recommend them to others for sure!! Thank you!! Keep up the good work!! Excellent service and meeting up to my expectations. They answered all my queries and doubts and had my name cards printed out nicely. I never regret changing my vendor to PrintCity. If you have special requirements on your events management, do speak to our printing specialists and we will advice you accordingly. Ready to work on a project with us? Drop us a call at +65 6274 8171 or contact us here! Get Quote in 3 Hours! I have read and agreed to the Terms & Conditions by Print City Pte Ltd.